GEORGETOWN, Del. (WPVI) -- A man accused of exposing himself and committing a lewd act at least two times has been arrested in Delaware. Donald Maxwell Jr. is accused of being the man who performed a lewd act while standing naked on Haines Street in Newark early Wednesday morning. He was allegedly spotted in two separate incidents, by two different female University of Delaware students. 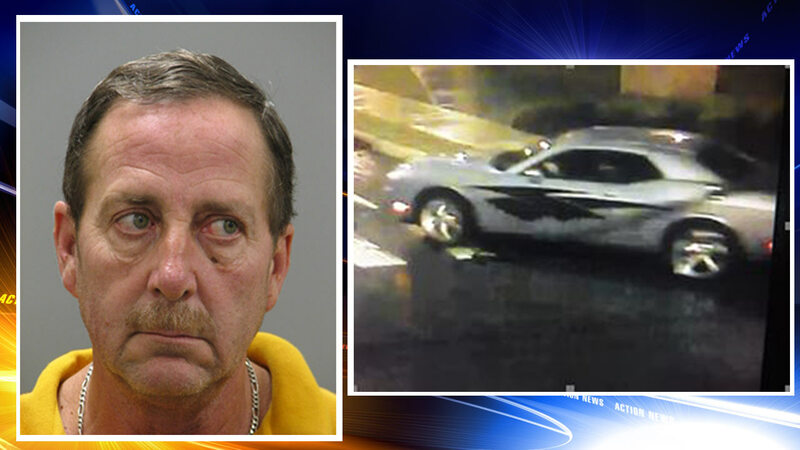 Officers used surveillance video to locate the suspect's vehicle, a 2011 silver Dodge Charger. After running the vehicle's registration, they determined it belonged to Maxwell. He was arrested and charged with trespassing, lewdness and indecent exposure.